CHECK OUT THESE CAN'T STOP ROCKIN' PHOTOS AND STORIES! I received the two photos above, the photo to the left , and the three photos below from Sheri Hastings. She is a self proclaimed big fan on STYX, but it looks like there is enough room in her heart ... and her camera memory card to take care of us Dave/REO SPEEDWAGON fans! 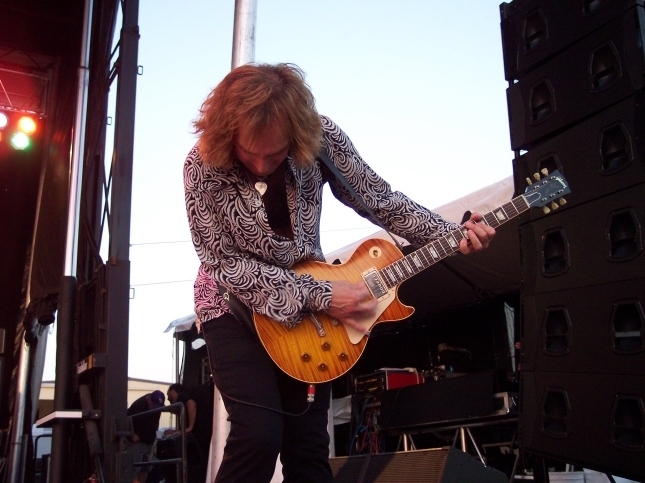 She writes "Here are some photos I took of Dave Amato at last Friday's show in Los Angeles @ Nokia Theatre (May 22, 2009). I think I got some pretty good ones of him! Sheri ... All I have to say is ... not only do STYX, REO and .38 Special work together to make this world a rockin' place ... but their fans do too! This kind of team work is awesome! You rock Sheri ... Thanks! I received the photo to the right and the photo that follows from Ray Simoncelli taken at the May 21, 2009 show in Ontario, CA. "We had a blast, my ears are still ringing this morning so I've asked my staff to speak louder this morning. 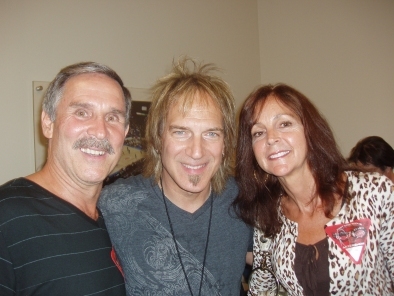 Here are a couple of really good pictures for Dave's website ... That's Theresa and I with Dave." Cool photos Ray ... you and Theresa rock! 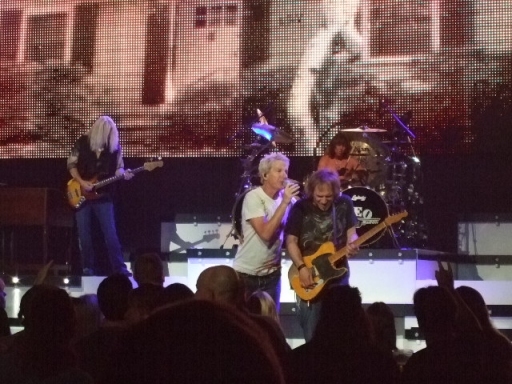 Webmaster Ken McGee sent in the two photos to the right and the three shots that follow from the "Dodge Theatre" Phoenix, AZ show on May 15, 2009. 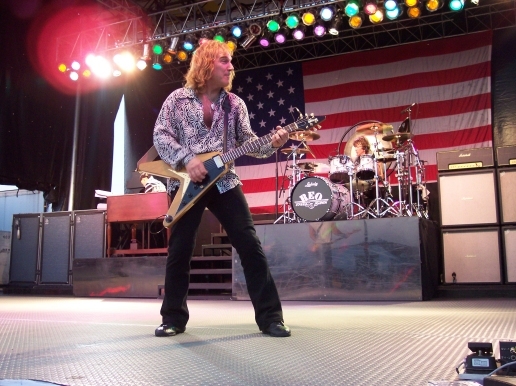 "This webmaster attended the 38 Special/REO/STYX show in Phoenix last night. Holly Cow! What a fantastic show! I think this was the best rock show I've ever seen, and many of those attending the sold-out Dodge Theater will agree. It started off with one of my favorite bands: 38 Special. They were tight and true to their original sound. 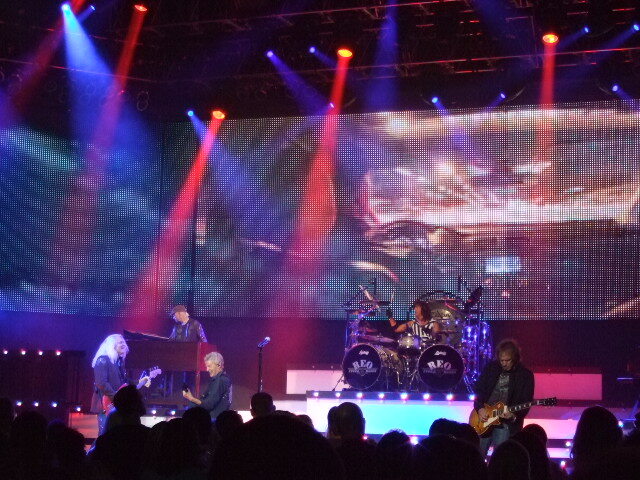 REO played second. 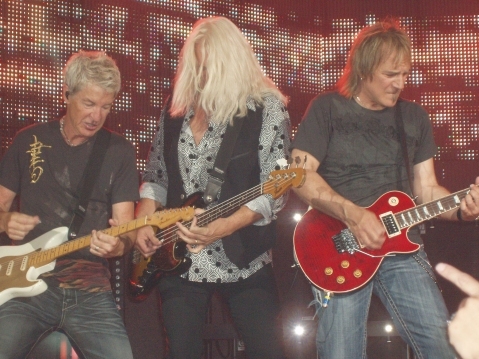 Those hard-core fans who have attended several REO concerts, you probably THINK you know what to expect. However, REO has switched things up. They still started the show with the usual "Don't Let Him Go", with Bryan starting off the intro on drums. During the intro, each band member comes out and joins in playing the intro, one after the other. There are photo clips flashing of that REO member on the impressive seventy-foot wide video screen. The whole show is very video intense, with that huge screen over the entire stage, and the light show was fantastic too. Kevin has new song introductions, and Bruce's "Back On The Road Again" has a new twist at the end. It is a high-energy spectacular production. STYX played last and seems to have gone psychedelic with "I Am The Walrus" in addition to the standards. 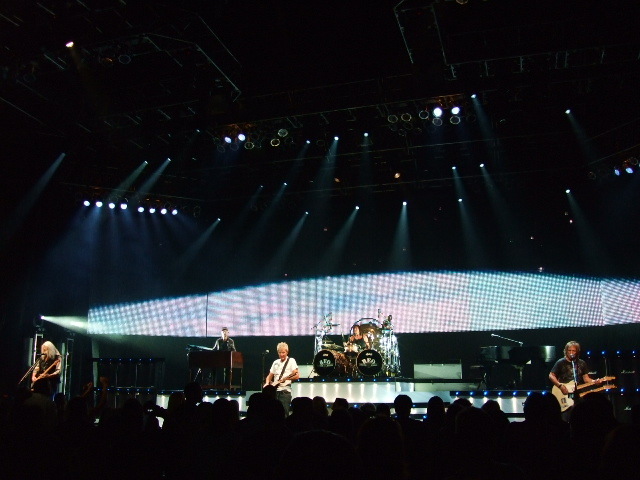 STYX also made full use of the huge video screen to multiply the sensory perceptions. I highly recommend this show, it is incredible! Webmaster Ken sounds pumped doesn't he? Whooo Hoooo! You Rock Ken! OK ... time for a time warp from the year 2009 to 2006. Teresa and Adrian Marchisio sent in these cool shots from the March 4, 2006 Orlando Harley Davidson Show in Florida. 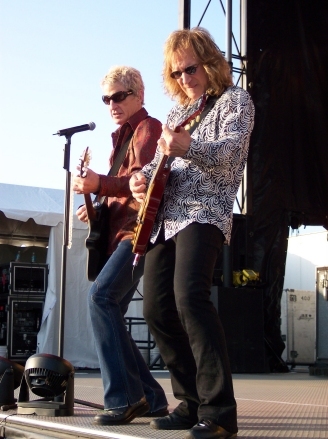 Teresa and Adrian are #1 ... Grade AAA ... top of the line ... REO/DAVE fans and we always like to hear from them at www.daveamato.com! 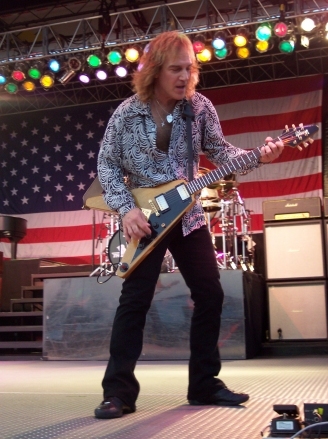 I hear they are even building an REO Speedwagon motorcycle and they are very excited about it. WHOAH-REOHOAH! Great Photos Teresa and Adrian! everybody else thanks for reading!